Conventional canister-type vacuum cleaners comprise a cord reel assembly for winding a power cord inside the cleaner body. 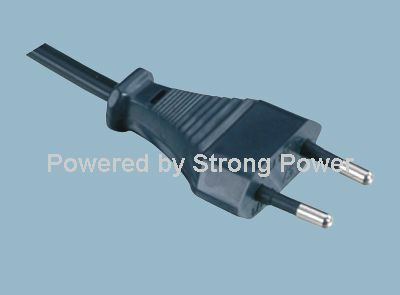 Conventional upright-type vacuum cleaners tend to require a relatively longer power cord, and thus use a cord holderinstead of a cord reel assembly. The power cord is wound around the cord holder on the outside of the cleaner body. During this operation, however, the power cord is often dragged on thesurface being cleaned, and is thus contaminated by impurities and dust. 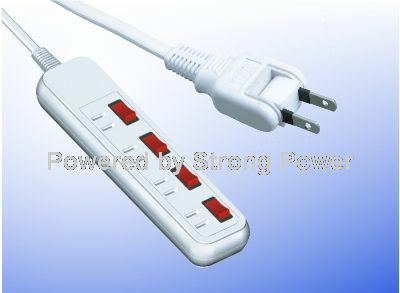 As a result, the user's hands may also become dirty while grasping and winding the power cord. Furthermore, when the user winds the power cord hastily, frictional heat generatedbetween the power cord and the user's hand may hurt the user. There is provided a power cord arranging device for a vacuum cleaner, comprising first and second cord grips which are pivotably coupled and moveable between opened and closed positionsabout a hinge member, and have at least two openings configured to receive a power cord when the cord grips are closed, and a resilient member biasing the first and second cord grips closed. When the first and second cord grips are closed. In an exemplary embodiment, a pair of pressure levers may be mounted at a position adjacent to thehinge, and a grip handle may be mounted on the first cord grip. The hinge member may comprise a pair of shaft receptacles mounted on the first and second cord grip, and a hinge shaft mounted so as to be inserted into the shaft receptacles. In an exemplary embodiment, the resilientmember may comprise a torsion spring supported by each of the pressure levers. In an exemplary embodiment, the guide ring may be made of at least one of steel and brass, and may be separated and assembled on the front opening formed on the first and second cord grips. In an exemplary embodiment, the guide ring may beformed with a greater diameter than the power cord. In an exemplary embodiment, the first and second cord grips may have a section with interlocking teeth of fixed width at one end.